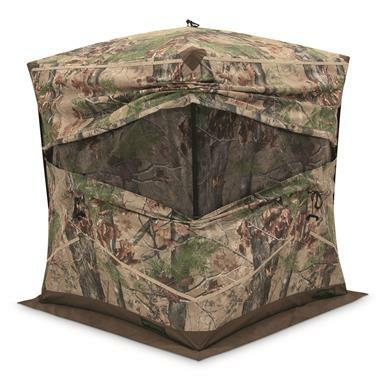 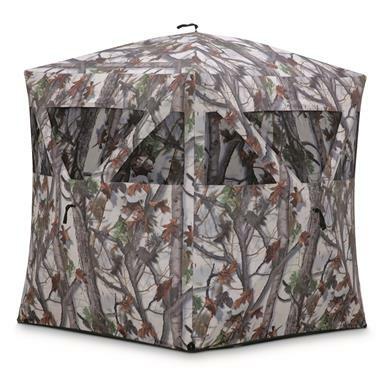 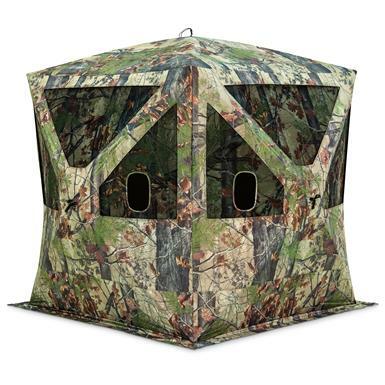 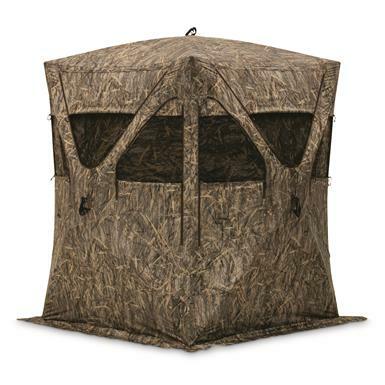 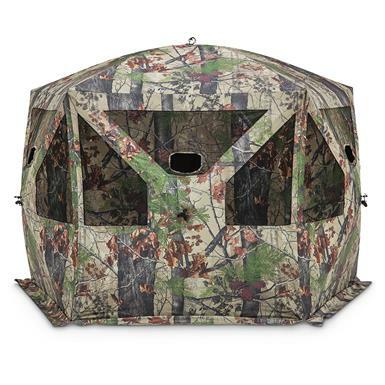 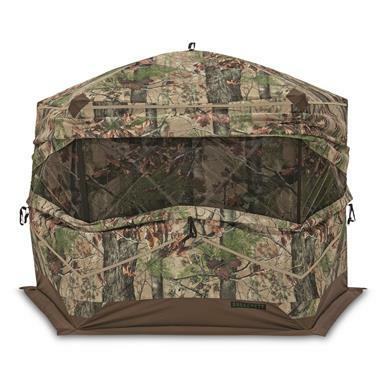 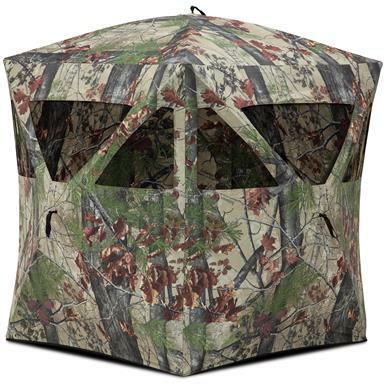 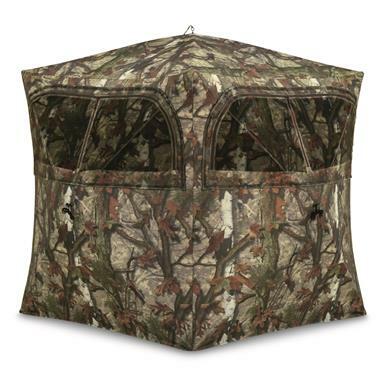 Easy-up blind for concealed hunting. 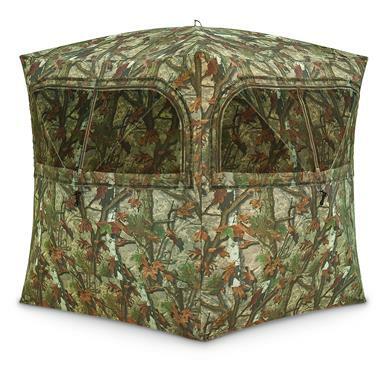 Easy-up blind is ready for hunting action! 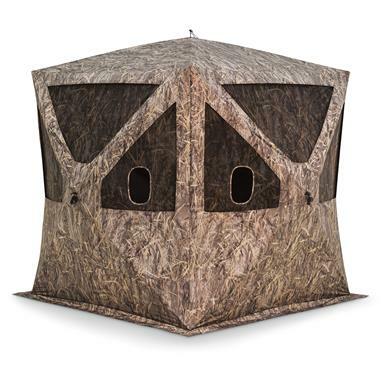 70% more interior room than comparable 4-sided blinds! 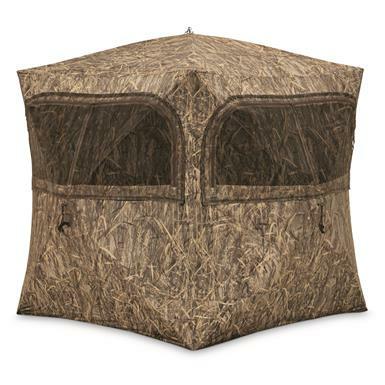 The ultimate in quick-up concealment. 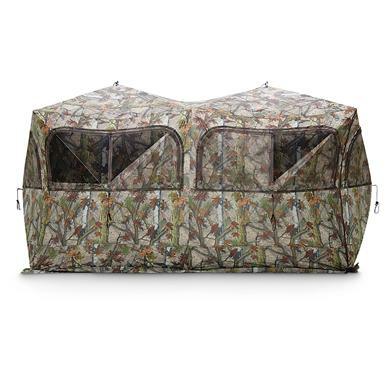 Room for 6 hunters or your ATV!